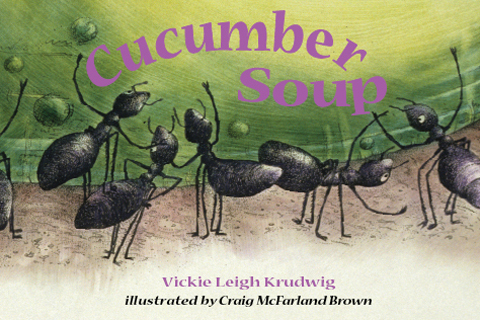 Cucumber Soup is an enchanting tale about community and teamwork related from the perspective of ants. 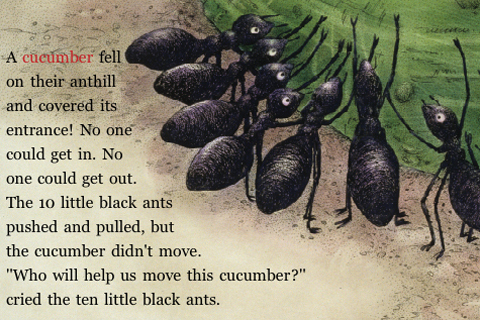 Children can learn about the importance of working together to solve problems as well as how to count in this delightful tale about ten ants, their insect friends, and one very large cucumber. 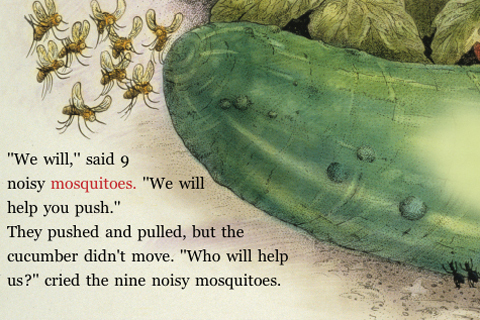 A recipe for cucumber soup (no cooking required) at the end of the book is an extra treat! This CHILDREN'S BOOK app promotes EARLY LEARNING and helps your children develop READING skills by connecting the spoken audio words and sounds with the written word on the page. 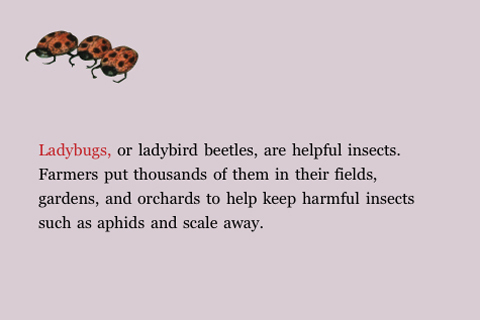 PicPocket Books' Learn-to-Read highlighting feature is an additional READING aid. 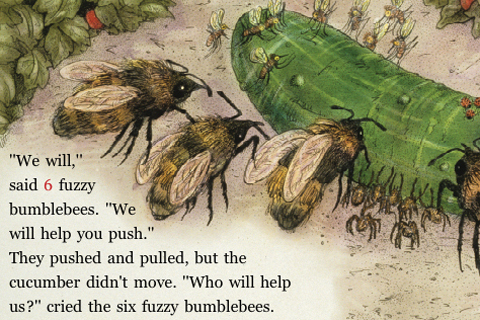 PicPocket Books offer a unique and new children's book experience, combining the beauty of quality picture books with audio recordings and interactive visual text. This combination enables independent enjoyment for children regardless of reading level, subtle support for early readers, and nostalgic fun for adults. - High fidelity, full-color illustrations that stay true to the original print book. - Play-pause to start and stop the story at any time. - Fast-forward and fast-back to replay images and audio. - Buy it once, play it as many times as you want.